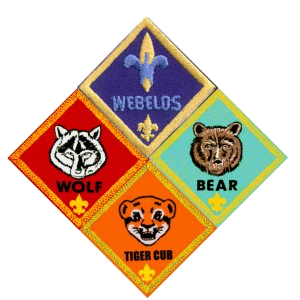 Any badge or patch that your boy earns will be awarded (at no cost) during the Monthly Pack Meetings. You will need to sew them on or to apply with Badge Magic, but they are provided. Before pack meetings we may make a trip to the Southboro Scout Shop. You might contact the Advancement Chair if you need a patch or two - we might be able to save you a trip and pick them up for you at our cost. You are also welcome to order any needed items online or however you like. * The troop may have Council Patches and other standard patches in stock. Check with the Cubmaster, Committee Chair, or Advancement Chair for availability. ** The troop may occasionally special order the Red "208" Patch (to the left) so you don't have to sew three number patches separately. Check with the leaders listed above for availability.